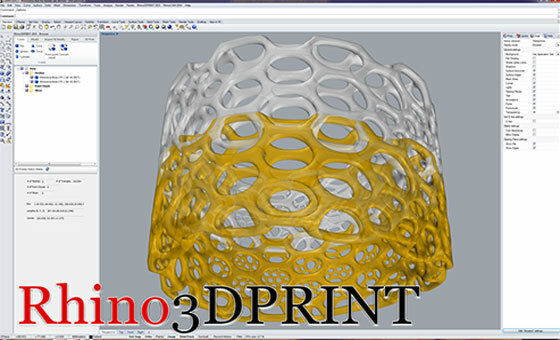 MecSoft, California based leading solution provider in CAD/CAM software, will launch Rhino3DPRINT 2015 software very soon. It is a completely incorporated, individually licensed plugin that is compatible with the Rhinoceros 5.0 NURBS modeler. Rhino3DPRINT 2015 software contains some simplified & automatic tools for generating 3d data like point clouds and meshes. One will be able to deal with data virtually as well as 3d print models from various input sources and leading 3d formats which range from scanners, digitizers, bitmaps, point clouds, and more. Browser-supported user interface – Apply an easy to use ribbon UI to get all the accessible tools. Point Cloud Processing – Generate meshes out of point clouds smoothly. Boolean Operations – Instantly execute severalBoolean operations like Union, Subtraction and Intersection connecting mesh solids. 3D Printing Functions – Perform an analysis before starting printing work and at the same time arranging a 3D model to a particular print volume. Mesh Inspection – Use methods like curvature & reflection line analysis to assess the smoothness of a model using techniques such as. Mesh Reduction –Lessen the number of triangles to a great extent inside a model, whereas keeping the basic shape unchanged. Mesh Healing – Automate the healing and analysis of holes inside a mesh. Mesh Refinement – Filter a specified mesh for 3D printing. Mesh Smoothing – Chaotic models become easily printable with smooth meshes. Mesh Offsetting – Effortlessly offset objects inside a model through standardized distances. Mesh Shelling – Divide and then cap two offset models to generate shells. Mesh Slicing – Produce definite curvatures through a slicing tool. Mesh Analysis & Repair – Evaluate meshes for problem areas (that may occur at the time of 3D printing) and repair them . Mesh Hulling – Make ‘gift wrap’ meshes through convex hulls.